My Lords, as your Lordships will appreciate, the Bar is always delighted to join your Lordships in welcoming those who have been elevated to the High Court Bench. It is indeed a true privilege for me, on behalf of the Bar, to adopt what your Lordship has said and to wish Mrs Justice O’Farrell well as she embarks on her new responsibilities. The then Miss O’Farrell arrived as a pupil at the newly installed 10 Essex Street in the autumn of 1985. She was an immediate success showing from the very start the clarity and intellectual rigour for which she has become so well known. Many of us still remember the foolscap sheets upon which she wrote her Advices in clear handwriting in jet black ink, identifying the issues and giving succinct and obviously right answers. She glided effortlessly from pupillage into tenancy. My lady may remember that there was a celebration by a trip to the Chelsea Flower Show to mark that momentous event. She joined a peer group then which included Mr Justice Coulson, Mr. Taverner, Queens Counsel, who spoke in your Lordship’s Court last week and me. She was a delightful as well as formidable colleague. She quickly developed very substantial advisory and advocacy practices. In her advisory practice, she was known for giving clear, simple and easily understandable advice, much appreciated by clients of all different types. As an advocate she rapidly acquired a very considerable reputation. However difficult the case became – whether the collapsing witness, the difficult client or the occasional testing questions from the Bench, she never faltered. When researching this speech, I was given numerous examples by people of her calmness under fire. The words that were used were “strong”, “dignified”, “resilient,” “resolute,” “ full of integrity”, “unflappable,” “compelling” and ultimately “sheer quality”. It is important also not to forget her humanity, her warmth and her compassion. In the mists of all these achievements she has been an attentive supportive and loving mother to her daughter Siobhan, whom I know to be the proudest person in your Lordships Court this morning. And of course we remember my Lady’s adored and admired late Husband Stuart – a compatriot of mine from the north east of England – whose delight this morning would have been palpable. There can be no question that my Lady richly deserves this appointment. She was for many years my Deputy when I was Head of Chambers. She was always supportive, no matter what the crisis. Never for her the “No, I’m too busy”. She demonstrated exactly the same characteristics in that role as in every part of her life and in her practice. As well as being a thoroughly deserved appointment, this is a very significant appointment for the Technology and Construction Court. That Court is staffed by a magnificent combination of talents. Mr. Taverner last week referred to the gender equality that had been achieved. I tell your Lordships that the Technology and Construction Bar is very proud indeed of its achievements in that regard. However, my Lady’s Appointment is also of great significance internationally. I was in Hong Kong when my Lady’s appointment was announced and was with three very senior Hong Kong construction solicitors. I was first struck by the delight that the three of them had at my Lady’s appointment when they saw it on the Internet. However, it did not stop there. It led to a conversation about how exciting it was that an international figure in construction law had been appointed to the London Technology and Construction Court. A world class addition to a world class Court. My Lords, the Construction Bar is very proud indeed of my Lady’s achievement. That pride is I know shared by our colleagues in the solicitors profession and by the body of expert witnesses who practise in our field. I hope I will be forgiven for mentioning the late Donald Keating QC, the founding mind of Keating Chambers, to whom so many of us here owe so much. He, I know, had a very profound respect and affection for my Lady. When he was Head of Chambers and My Lady became a tenant in his Chambers, he identified, and I recall it very clearly, the same characteristics that I have referred to this morning. He was a great admirer of hers. He would today have been proud beyond measure. My Lords, today we are all proud beyond measure. This is a simply brilliant appointment. Fourth Article – Experts – Triumph or Disaster ? Paul is particularly known as the leader of big teams in heavy cases and as pre-eminent on his feet, particularly as a cross examiner. 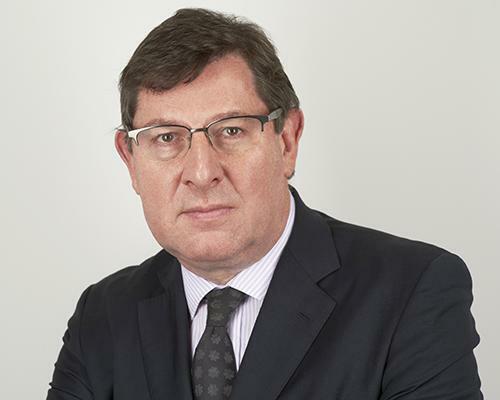 He led the Technology and Construction Bar through the biggest ever re-organisation of the Court and was head of Keating Chambers between 2010 and 2015. 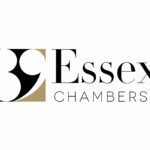 In August 2017 he joined 39 Essex Chambers. He regularly appears in Courts and Tribunals across of the world. Recent appearances include London, Dublin, Belfast, Hong Kong, Singapore and Dubai. Paul’s non executive experience of business and public bodies enables him to see his work as a Barrister through a different lens. Please see the individual links below for further information of recent cases covering July - September 2015.